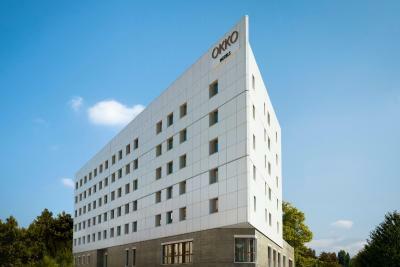 Lock in a great price for Okko Hotels Grenoble Jardin Hoche – rated 9.1 by recent guests! Good mini-baguette, meats and cheeses at breakfast and in the "Club" in the evening. Really nice and unexpectedly great inner city hotel. 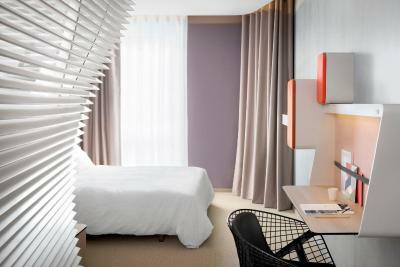 New, modern with quiet rooms, great amenities and nice outdoor terrace for eating or socializiing! 5 stars! They offer drinks and local produce in the evenings where you can get dinner tips from the staff. Comfortable area with nice staff. I liked the room and the club area. Also, the free apéro is a nice touch. The beds are very comfortable! Staff is great. Breakfast and evening snack are very good. The room is tiny but the decor is unique so all-in-all it creates a pleasant experience. 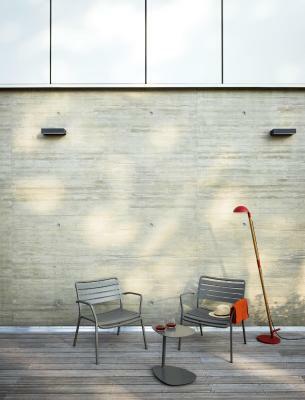 The motto of the OKKO hotel chain is "4 stars and no clouds" - and they live up to it. There are no extra charges in the hotel as there is no minibar. They put 2 small Evian bottles in the room and replenish them daily. Again the food is plentiful and tasty. We enjoyed chilling out in the lobby after a long day of ski in the cold. Would totally recommend. We found free parking in the street every evening (free from 19:00 to 9:00) so parking was not a problem at all. We walked to restaurants in Grenoble, it is about a 10-15 minutes walk to the center. 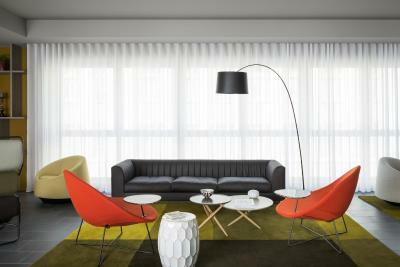 OKKO redesigned the hotel experience, and they did a great job. The club concept is great. We enjoyed the food quality a lot. It was pleasant that our preferences for the window view were taken into account. 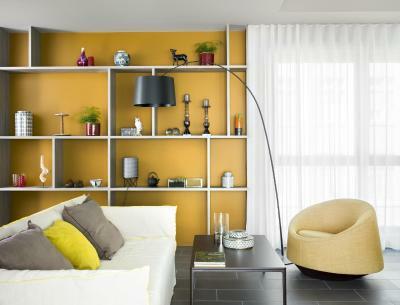 Very minimalistic design for the room. The 24/7 club downstairs is free and always of great value. All the staff are very passionate and helpful! 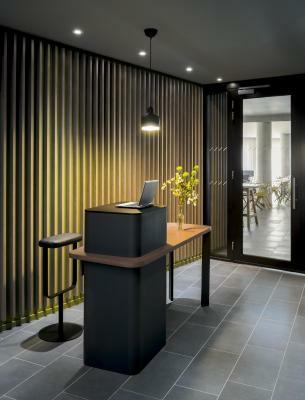 Featuring a sauna and a fitness center, Okko Hotels Grenoble Jardin Hoche is located in Grenoble, right next to the Hoche Gardens. 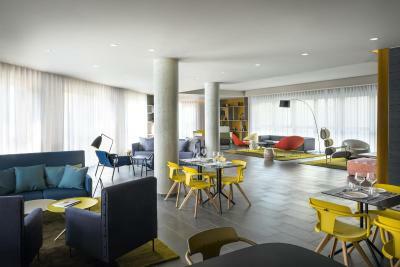 This design hotel offers a terrace with views over Hoche Park, a 24-hour front desk and free WiFi access. 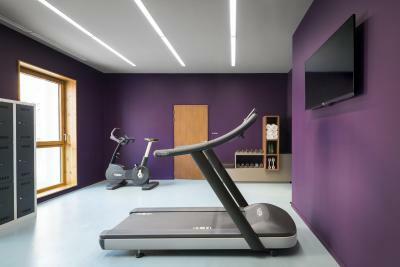 Each room is air-conditioned and equipped with a flat-screen TV, a desk and a coffee machine. 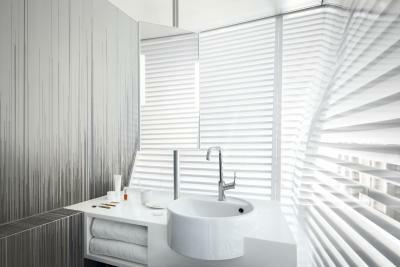 The private bathroom has a shower and comes with a hairdryer and free toiletries. A buffet breakfast is included and served every morning. Soft drinks are also included throughout the day free of charge in the lounge, and in the evening guests are offered a free glass of beer, wine or fruit juice cocktail as well as snacks from the appetizer buffet. 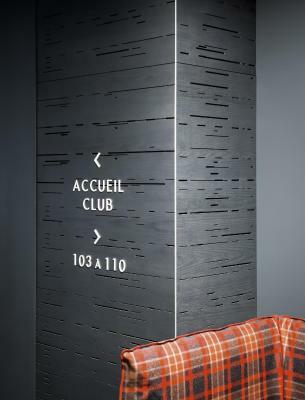 Okko Hotels Grenoble Jardin Hoche features the Le Club lounge and a library. 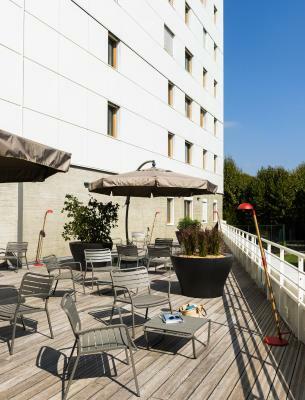 The hotel is 1,650 feet from Paul Mistral Park, 150 feet from La Caserne de Bonne shopping mall and 0.9 mi from Grenoble Train Station. 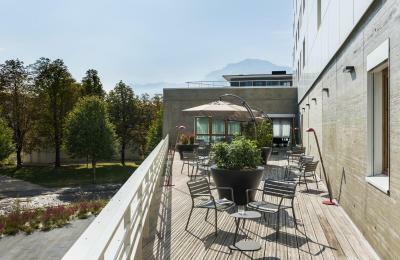 This property also has one of the top-rated locations in Grenoble! Guests are happier about it compared to other properties in the area. 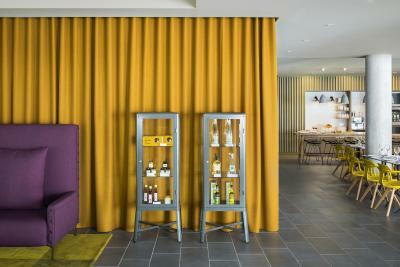 When would you like to stay at Okko Hotels Grenoble Jardin Hoche? 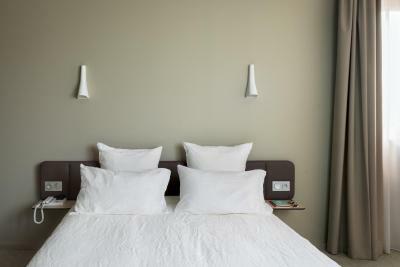 This double room is air-conditioned and equipped with a flat-screen TV, a desk and tea/coffee making facilities. The private bathroom has a shower and comes with a hairdryer and free toiletries. This double room features a iPod dock, air conditioning and executive lounge access. 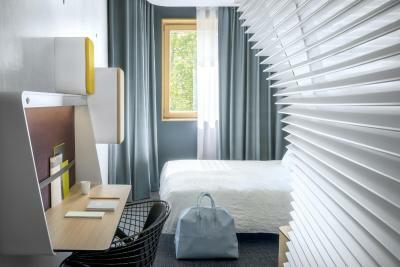 This single room has air conditioning, flat-screen TV and soundproofing. 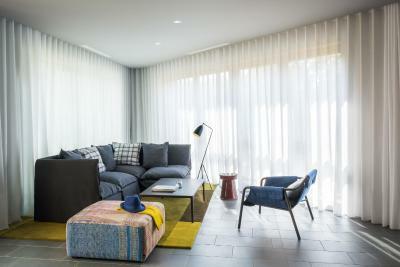 House Rules Okko Hotels Grenoble Jardin Hoche takes special requests – add in the next step! 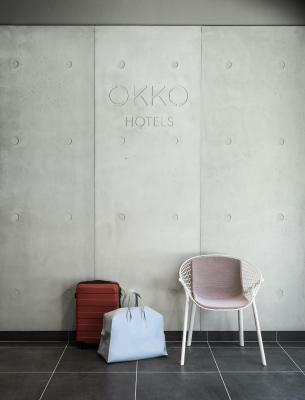 Okko Hotels Grenoble Jardin Hoche accepts these cards and reserves the right to temporarily hold an amount prior to arrival. Please note that the food offered during the evenings is on an unlimited basis and includes snacks and light food. A larger variety of fresh fruits would have been nice - as well as some less ripe bananas. Blinking red light above my bed. Beware of flooding the entire bathroom whent aking the shower. The atmosphere, I like the Club where you can sit and relax. 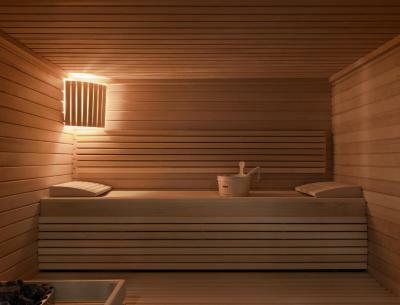 The sauna. The design. the food and drinks. Great snacking and drinks in the Club, included in room price. Each evening, there are served nice and very tasty cold and warm snacks and a free drink, which is a really nice idea. The bright and cozy club is open the whole day, offering free soft drinks , tea and coffee, and is a great place for working with a laptop. The personnel is very friendly and helpful. There was nothing negative. I liked the place. I like the concept of the hotel. The consideration of environmental impact and the atmosphere. The rooms are nice and comfortable. Always love a Nespresso machine in my room and a free bottle of water. 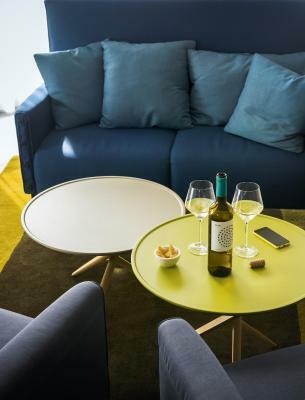 I particularly liked to lounge with a range of different seatings and the food and drink that is provided as part of the stay. It is a great opportunity to speak to other guests (if one wants to) and it is also possible to do some work there with good coffee and tea in plenty supply. The staff was exceptionally friendly. The facilities are awesome, the morning breakfast and the afternoon aperitif was really good. Parking in Grenoble is terrible. Hotel has arrangement with parking garage nearby. If not a resident, you have to pay through hotel as you cannot pay in garage. Also, you can only park on street for 2.5hr max. Make sure they explain in detail. Can be very frustrating. 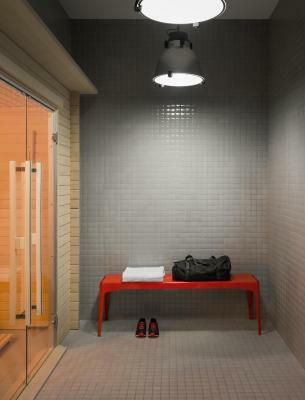 The shower has no door or glass to stop the water pour all over the floor of shower room. No electric socket inside the shower room for hair dryer. A bit noisy from the parc hoche side. It was very cold in the room and throughout my stay of around 15 hours i was not able to warm it up (or i did not understand the heating system). I am fine with energy saving - but then i would need a winter blanket. I did not feel fully comfortable (even though this is subjective, of course). There also was a slightly unpleasant odor in the bathroom; water did not drain properly from the sink ... for 1 night ok but ... When i saw that ppl waited 20 minutes for their taxis, i sort of panicked and rushed to the train station on foot. i would expect from a 4 star-hotel that they call directly to the taxi service and do not use an app and make sure their guests receive the service as wished for - and if that is not possible because of lack of capacity, to be properly informed.